Outdoor sound sculpture to be played by wind! Magnificent. Outdoor sound sculpture to be ‘played’ by wind. 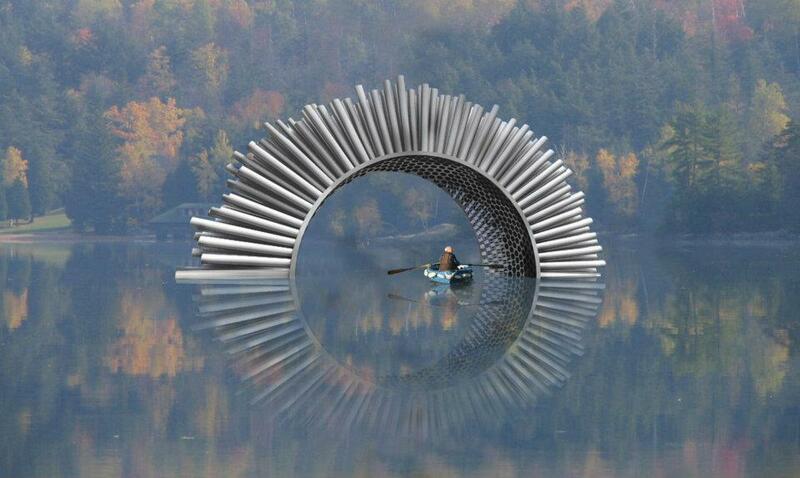 Artist Luke Jerram is preparing an outdoor ‘acoustic pavilion’ called Aeolus, which will be built of hundreds of metal tubes acting as Aeolian harps. Each tube will contain strings which will strike chords inside the structure as the wind passes over them, making the whole structure sing. Visitors to the piece will be able to sit in the center of the structure, and the tubes will act as lighting filters, speckling the interior with shifting light. Jerrem’s work includes a number of environmentally focused projects, including one that amplifies and orchestrates sounds made by plants. « Mean, but you gotta admit it’s funny!